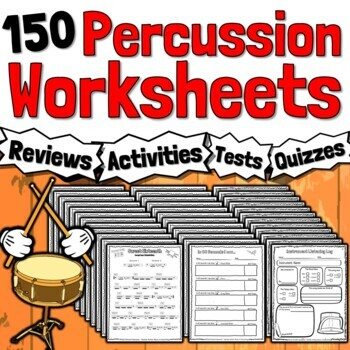 26 Percussion Worksheets - Tests, Quizzes, Homework, Class Reviews or Sub Work! 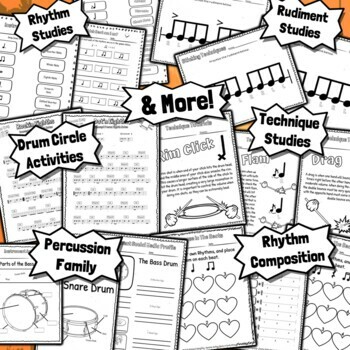 PDF file - 26 Pages of Percussion & Drumming Worksheets. 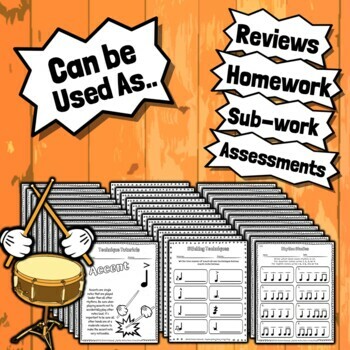 This is a product that will grow as I create more for my students to do in my own classroom. 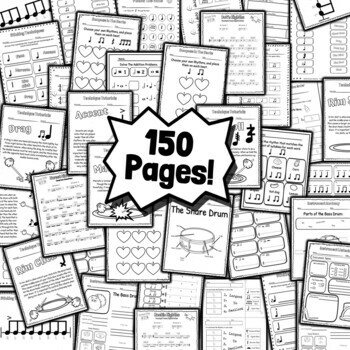 If you purchase this product, check back each month for new additional worksheets that I will be adding frequently!